John Hobson claims that throughout its history most international theory has been embedded within various forms of Eurocentrism. Rather than producing value-free and universalist theories of inter-state relations, international theory instead provides provincial analyses that celebrate and defend Western civilization as the subject of, and ideal normative referent in, world politics. Hobson also provides a sympathetic critique of Edward Said's conceptions of Eurocentrism and Orientalism, revealing how Eurocentrism takes different forms, which can be imperialist or anti-imperialist, and showing how these have played out in international theory since 1760. 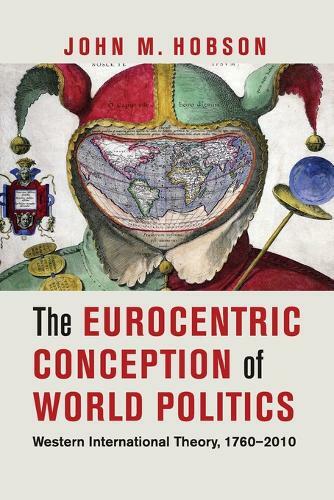 The book thus speaks to scholars of international relations and also to all those interested in understanding Eurocentrism in the disciplines of political science/political theory, political economy/international political economy, geography, cultural and literary studies, sociology and, not least, anthropology.